Safari Sun is a small business, family owned, and established in 1984. It all started with one dollar and a dream! Each team member is welcomed in with open arms and made part of the Safari Sun family. We are your neighbors and friends from the Central Florida community brought together to create a one of a kind screen print shop. Located in the heart of downtown Altamonte Springs, Florida we are just twenty-three minutes north of Orlando. Safari Sun is ranked among the top 50 high volume shops by Impressions Magazine. We take pride in serving our customers and always strive to keep a competitive edge in our industry with every order we produce. 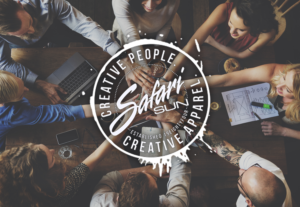 Safari Sun is creative people who proudly create creative apparel. We specialize in screen print, embroidery, and promotional products. We work together with both small and large businesses alike to make sure their brand represents them. 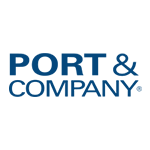 We give guidance on apparel, accessories, and promotional products. With our state of the art equipment, we will go above and beyond your expectations. Our friendly customer service reps and sales team have the experience to determine the best apparel brands, custom art, and decoration methods that will fit your budget. Safari sun is not like all these online printing websites. All our screen printing is done right here on site with over 30 years of experience to give you the best quality prints possible. We offer more than just standard screen printing. Our wide range of specialty inks and processes give you the options needed to create a truly custom screen print order. This is another reason we stand above our competition in the industry. Our printing ability is 1,500+ shirts per hour and we have the resources to print up to 100,000 shirts in a single week. Rush is a word we understand, and time-sensitive order will be given undivided attention to meet your specific deadline. Something unique about Safari Sun is that we have a whole art team on site. Our talented artist have the education and experience to help you create amazing designs that will help you stand out in a crowd. If you have an existing design and just need help adding a wow factor or just want a fresh new look, our staff is here to help. Sometimes by just adding a specialty ink to your design it could be just enough to give your brand a new energy it so deserves. If you need a design built from scratch or you have an idea but don’t know how to bring the concept to life, our artists are here to make magic for you. They are full of creativity and would love the chance to work on your designs. Together every staff member here at Safari Sun works very hard to create the best experience for every customer. From being welcomed into our showroom with a friendly smile and hello from our customer service reps; to sitting down with our experienced sales team and having them really listen to what our customers needs. Then our team of artists put their creative minds to work on your designs and the production team works diligently to create your amazing custom apparel. We strive to make every customer happy from our customer service to our quality products to gain your business as a repeat customer for years to come. • To have a company that employees and customers are proud to be associated with. • We believe that our customers should have an easy and fun experience. • To help our customers look good and feel great for their upcoming event, or to represent their school or business. • To have a positive impact on our employees, their families, our customers and our community. • Our success will come by offering our customers the very best service, selection, quality, and value. • To offer our customers the very best, we will stay knowledgeable and current in all the latest techniques of embellishment. • To stay loyal to our core values now and forever. • To connect with our customers and employees so that they will stay loyal for life. • Personally, Accountable: for delivering on our commitments. • Commitment to our Customers: to developing relationships with our customers that make a positive difference for them. • Quality: we provide outstanding products and unsurpassed service that together deliver premium value to our customers. • Respect for People: we value our people, encourage their development and reward performance. • A Will to Win: we exhibit a strong will to win in the marketplace and every aspect of our business. If you are planning a promotional event as a means of advertising your company or product, our detailed professional screen printing services can come in handy for creating custom apparel which can be worn by promoters. We are the premier Orlando experts in high quality, affordable, custom embroidery. Along with corporate embroidery, we also embroider Tackle Twill (applique) such as Sports Jerseys & specialize in the delicate embroidery of leather and vinyl. Our special packaging services are designed to help you organize large orders for inventory purposes. We have the capabilities to polybag every garment by size/color and create custom stickers for each polybag. The very talented artist in our staff have the education and experience to help you create amazing designs for your apparel and promotional product needs that will help you stand out in a crowd. Let us amaze you with our skills.